In case you missed recent events, Gmail has added unsubscribe functionality to their UI. Lifehacker has a good, quick synopsis on this topic. (Okay, Gmail has had this for a while—they’re just making it much more obvious.) And while the world assumes that email marketers are flipping out over this development, I offer you two reasons why I for 1) am not flipping out over this, and 2) believe this is actually a positive development for email marketers. 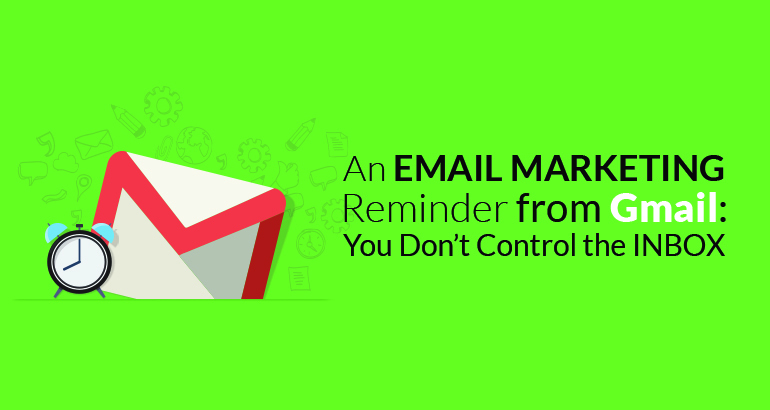 Reason 1: Email Marketers Don’t Have Control Over the Inbox. This is just another reminder from the ISPs of the world that they (and, to a certain extent, their customers) control the inbox. ISPs don’t make money off of email marketing, so they’re in the business of protecting their networks and their customers—the users.